We started our day off being with Mr Whitmore piping in the playground. We then all danced to Strip the Willow with parents and friends cheering and clapping us on. Thanks to Sean from Central DJs for providing speakers to allow us to have a fabulous big ceilidh. Our Nursery class sang Three Craws. Primary 1 class sang Katie Bairdie. 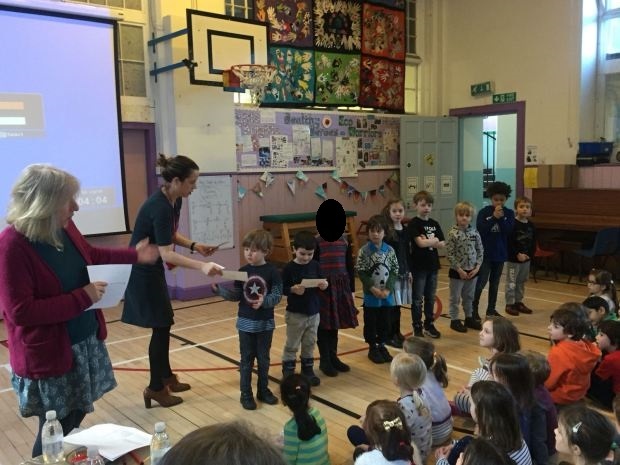 Primary 3 sang a Gaelic song. Some pupils from Primary 4 sang a song. Primary 7 have been reading Tam O’Shanter and have written play scripts based on the story. Some Primary 7 pupils acted out Oskar’s play script in our assembly. The Brett family, Elsa (am nursery), Daphne (P2/3), Benjamin (P5) and Rosie (P7) performed a dance for us. There was a surprise act was our staff act. 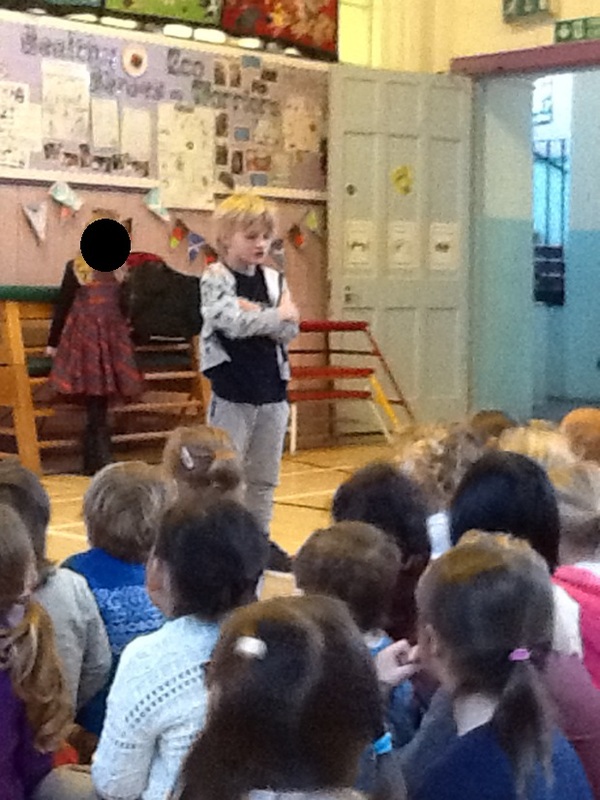 They performed two of Rabbie Burns poems. A big thank you to Mrs Metcaffe, Mrs Robertson and Mrs Cowie who judged our Scottish recital competition. They had a very tough job! 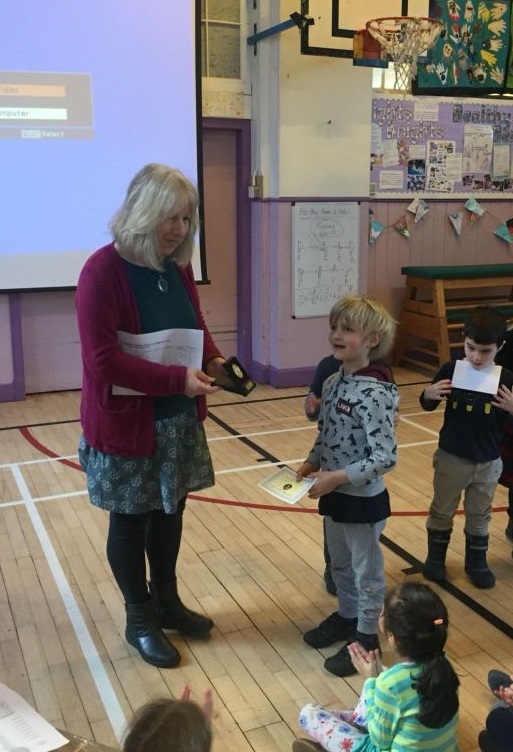 The winner from the Primary 1 to 3 category was Jamie, Primary 2. The winner from the Primary 4 and 5 category was Benjamin, Primary 5. The winner from the Primary 6 and 7 category was Samuel, Primary 6. We finished off our assembly singing Auld Lang Syne.